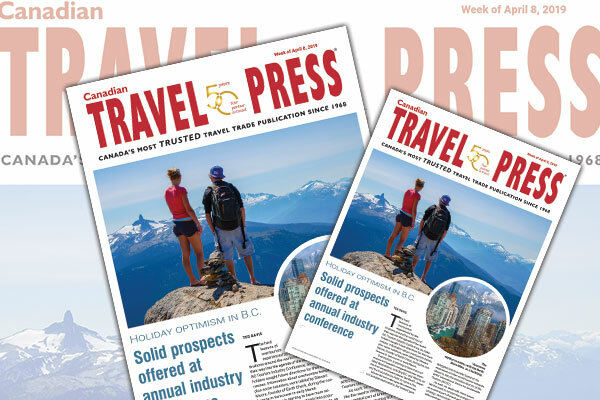 The hard lessons of overtourism experienced by destinations around the world found their way into the agenda of the recent BC Tourism Industry Conference, as stakeholders sought future directions for their businesses, reports western editor, Ted Davis in this week’s digital edition of Canadian Travel Press. Information about overtourism trends, plus some solutions, were tabled by Stewart Moore, founder of Earth Check, during the conference in Vancouver recently. Overtourism is starting to have more relevance in Canada’s comparatively less populated destinations, including BC and Alberta, as the first waves impact places like Banff, Jasper and the Colombia Ice Field, to name a few. Moore did not make specific references to Canadian destinations but instead gave delegates lots to ponder based on his experience of other world tourism hotspots. Moore is also the executive director of the APEC International Centre for Sustainable Tourism (AICST). As such, he deals with client issues like the need to incorporate sustainability as a central part of brand and corporate strategy; demonstrating ROI from sustainable practices; demonstrating consumer interest and return from sustainable practices; and maintaining the sustainable momentum from year to year. As one potential strategy, Moore suggested that tourism stakeholders should extend their planning horizons and look further down the road – not two or three years ahead, but on a quarter-century scale. By setting goals with a 25-year timeline, tourism business operators will be able to make better plans from a business, operational and environmental standpoint, he said.